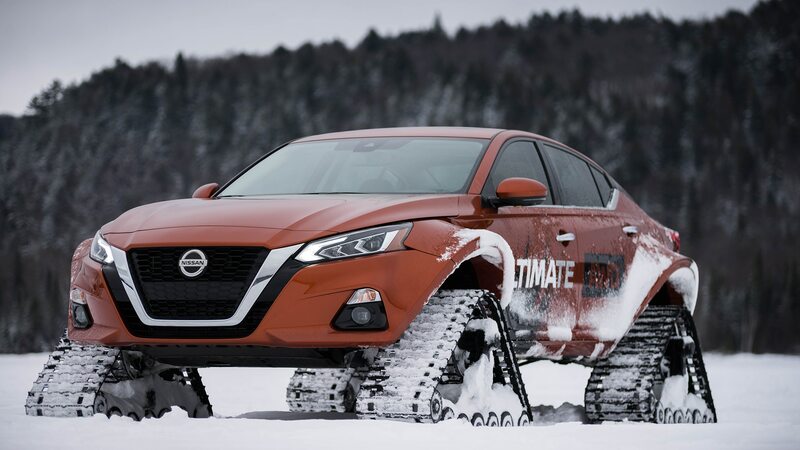 While Nissan’s affinity for the practice grows a bit tiring, it’s pretty much true that you can put tracks on anything and make it cooler. 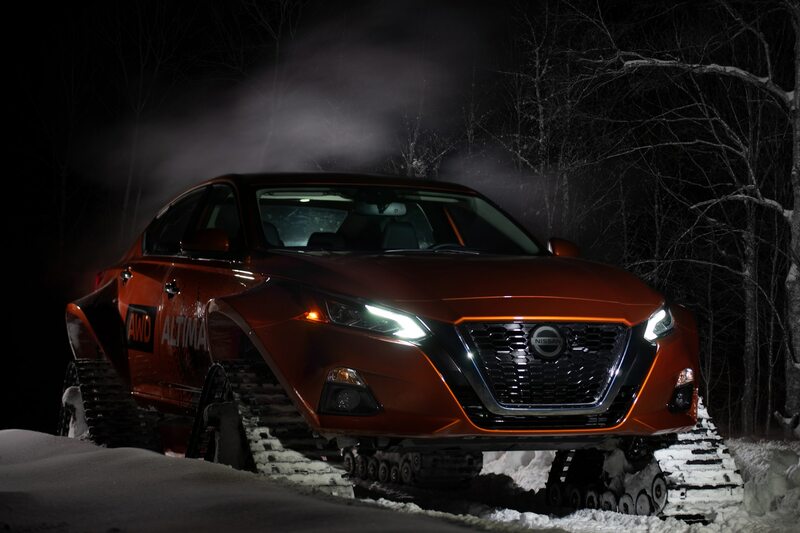 Case in point: the Nissan Altima-te AWD project vehicle that just made its debut at the Montreal auto show. 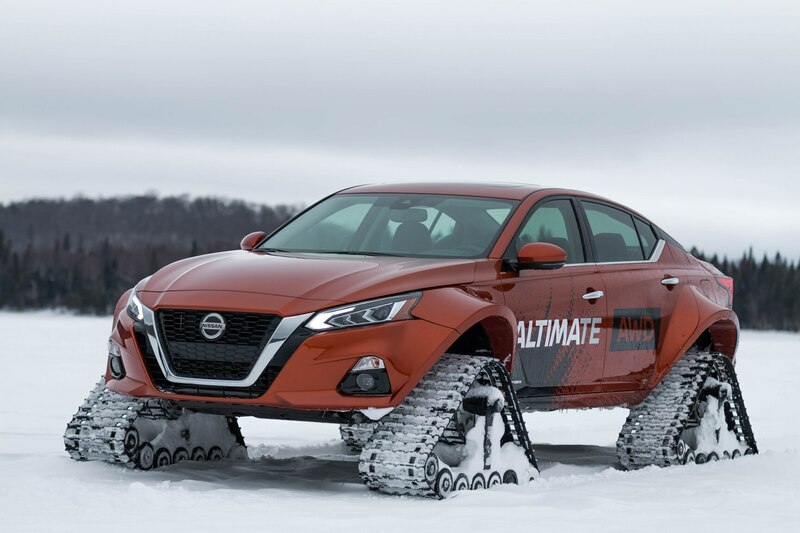 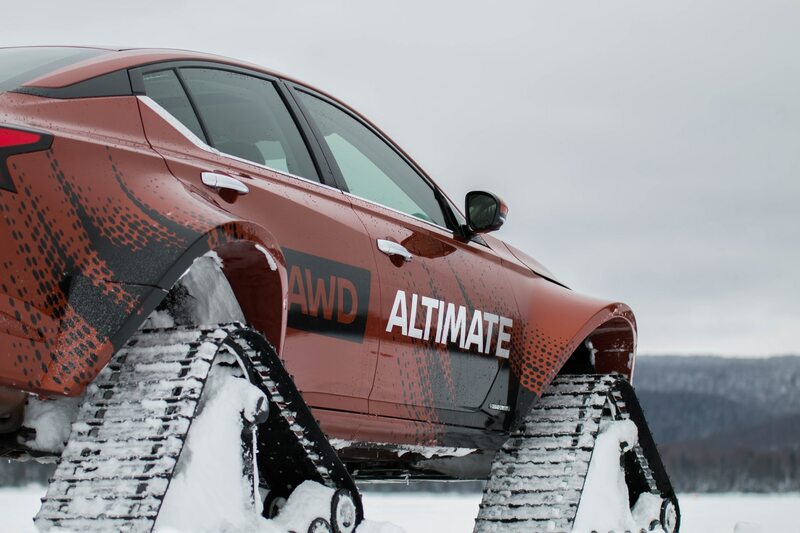 The one-off is based on a 2019 Altima and ditches its wheels for a set of heavy-duty tracks. 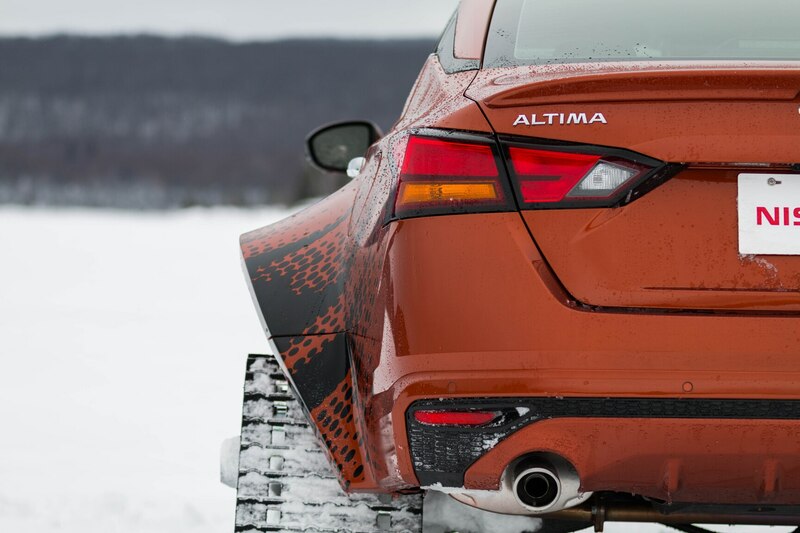 It also gets some cool-looking 7.0-inch fender flares all around to complete the Mad Max-meets-mega-snowmobile effect. 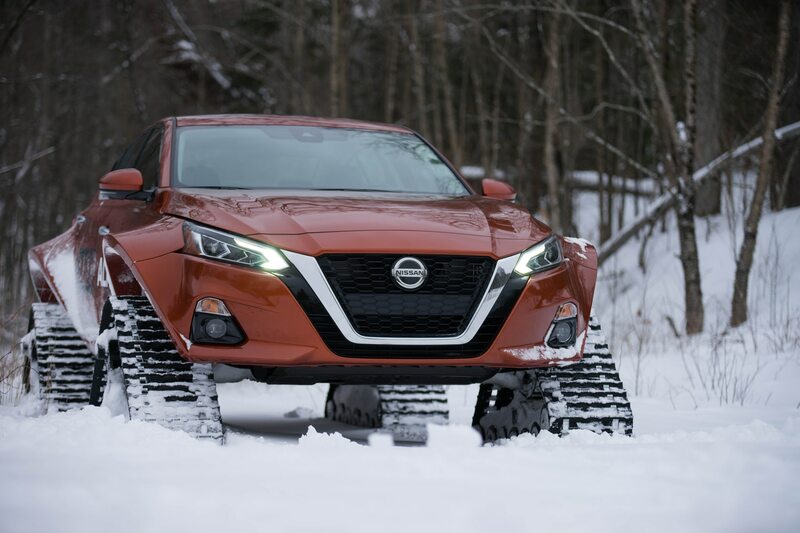 Adding the widebody fenders took about 150 hours of work according to Nissan, and the Altima’s ride height was increased by 3.0 inches. 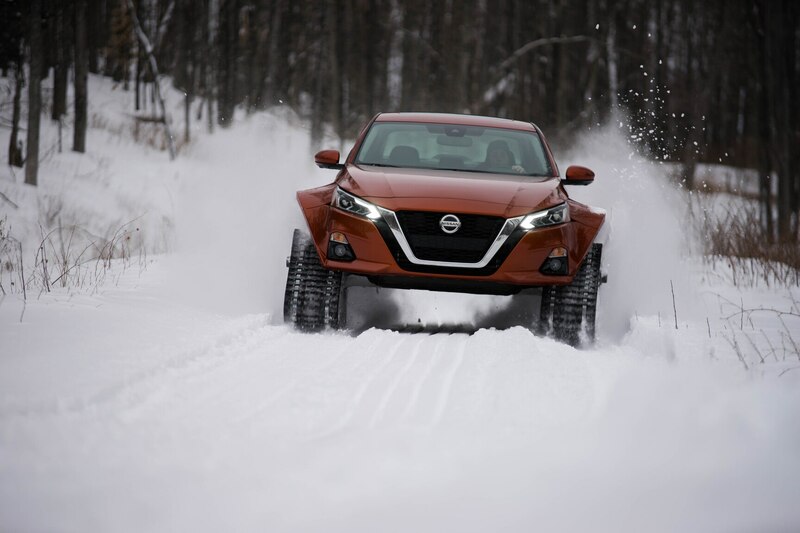 It joins a bevy of other tracked Nissans that include the Rogue Warrior and the Nissan 370Zki that made the rounds at a number of other car shows last year. 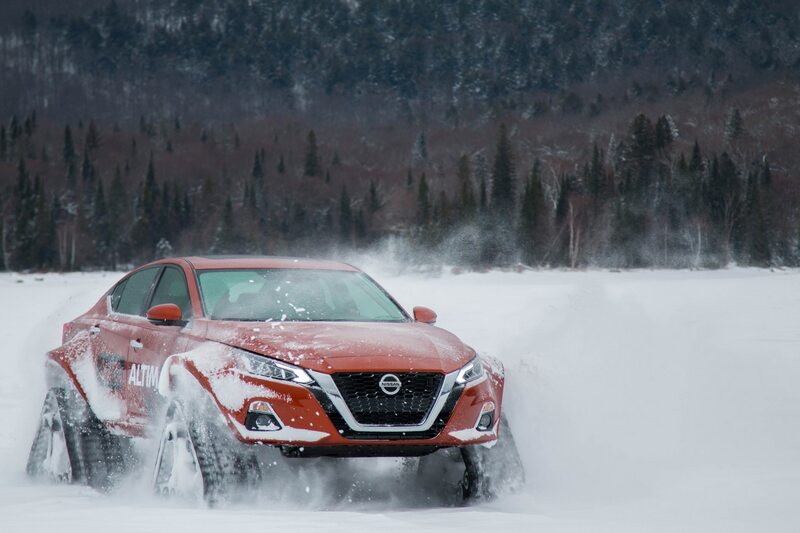 Detroit bureau chief Todd Lassa took the 370Zki for a spin near Jackson Hole, Wyoming, and had a blast making donuts that would make Jim Rockford proud. 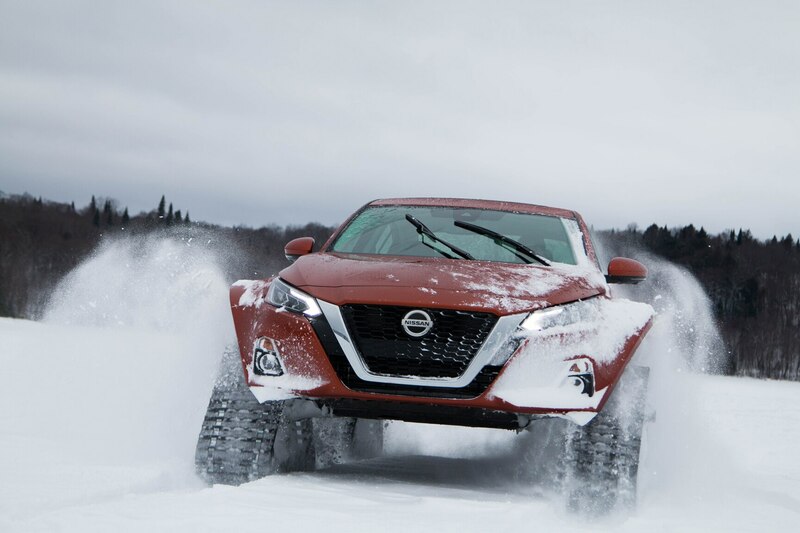 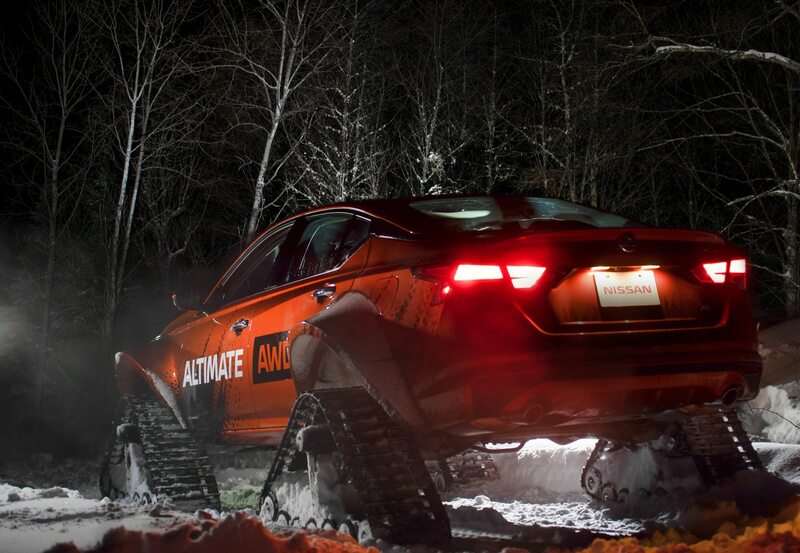 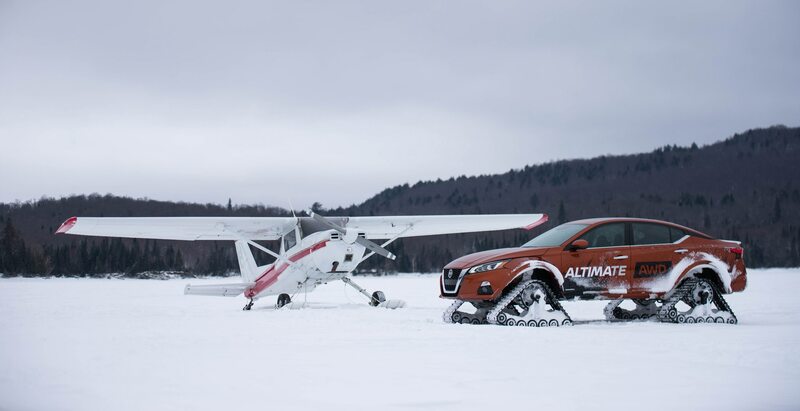 We’re looking forward to doing more of the same with this nifty snow beast, should Nissan allow it out to play. 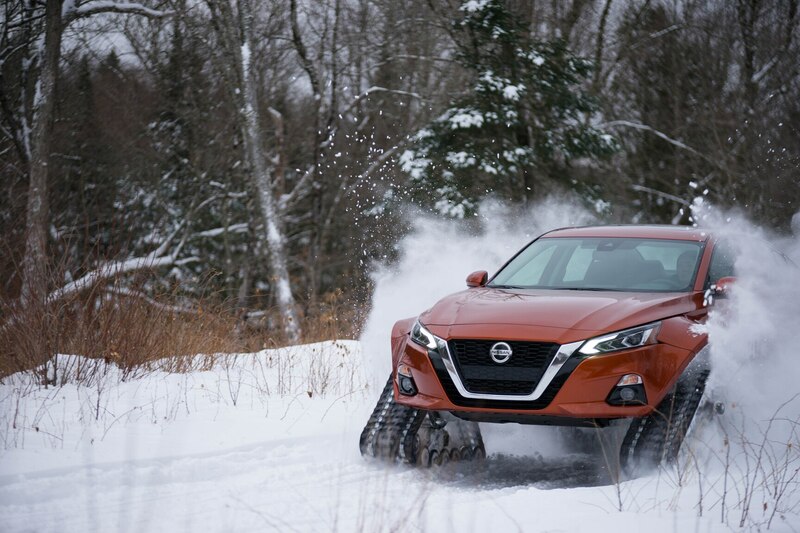 Like the 370Zki, Motorsports in Action in Quebec modified the Altima-te. 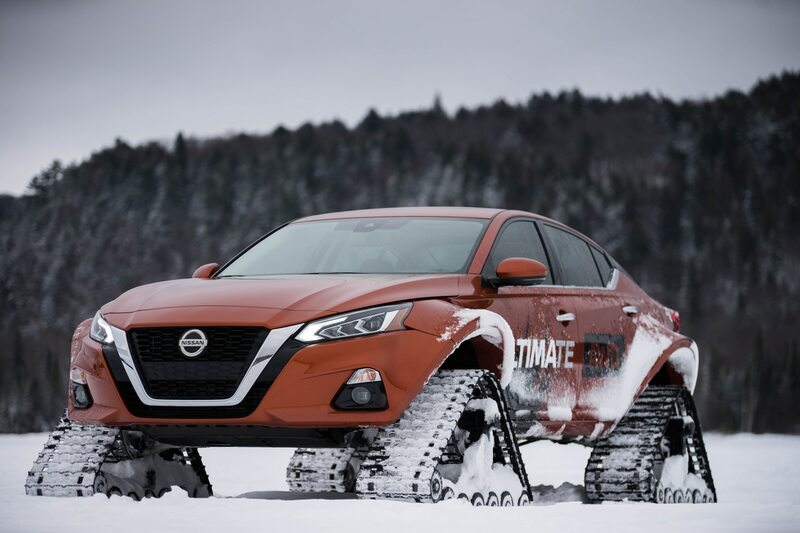 The outfit used a Dominator track system from American Track Truck measuring 30 inches tall, 15 inches wide, and 48 inches long, in case you want to similarly mod your Sentra or Versa. 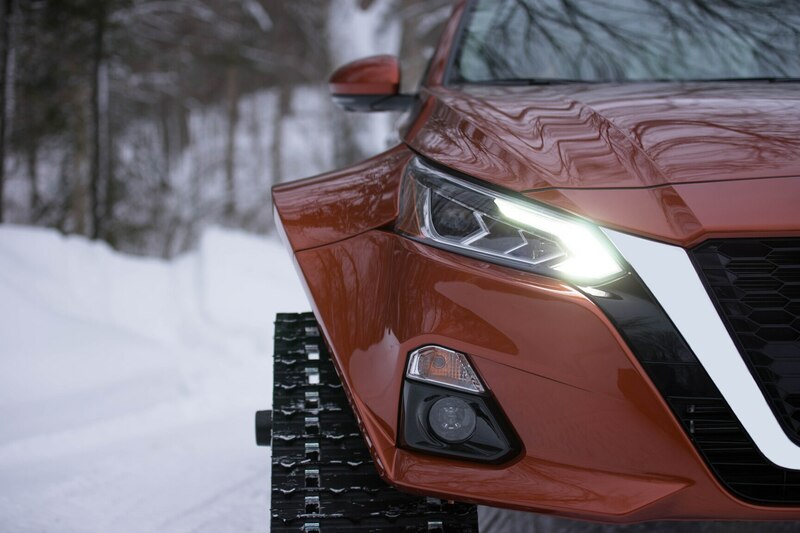 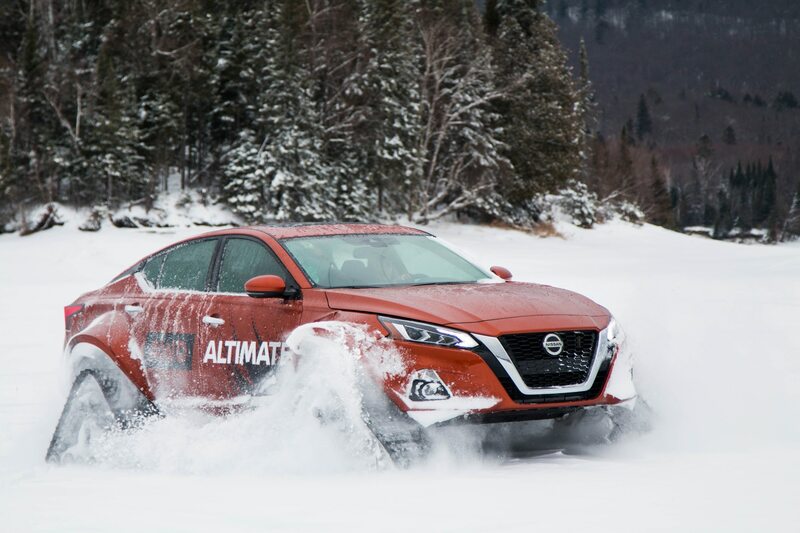 If you find yourself in the Great White North, the Altima-te AWD will be on view at the Montreal show through January 27 before making tracks for the Toronto auto show the following month.